When we started this event more than two decades ago, we called it ‘The 10,001 Tree Planting Weekend’. Everyone asked what the ‘one’ was for. Our little piece of cattle country wasn’t like it was when Europeans invaded, rather, it was rainforest – some argued ‘wet’, some ‘dry’. Back then, our advice from the Department was to plant eucalyptus, because they would deliver shade for our campers faster. Eucs, we learned, would grow faster – but they would also be a fire hazard, a widow-making hazard and most weren’t terrible shady. Standard wisdom was that it’d take 25 years to get rainforest trees to canopy. Enter Jack Mitchell, an old man who said he had devised a method to grow a canopy of endemic rainforest species in seven years – and that was all we needed to hear. He had spent a lifetime experimenting all over SE Qld. One of his strategies was to water the seedlings in, let the strong ones survive the droughts and end up with beautiful healthy specimens. When we found out that 90% of the original rainforest of SE Qld was gone, we became missionaries with a new cause. Being broke was a blessing, because to get the trees in the ground, a community was created and that built our event. Our plan was to devise a way to get the trees in, get hundreds of people en masse planting them, and be cost neutral. In our first year, in they went, all 10,000 of them. This event was born. At the end of that first year, the last tree planted, ‘the one’, was planted by a migrant community who planted their national tree. It would be a celebration. The Bengali Community planted their fig near the Duck AKA The Larrikin or The Grove. It’s now the favourite climbing tree of hundreds of folks of all ages during our events. We learned that the ‘one’ tree was the most important, because it made the connection for us that the solution to our environmental problems is likely more cultural than scientific. If we are to solve the issues our planet, it’s we who have to change. Early on, we also contended that tree planting was more about preserving humanity than saving the world, later learning that we were all co-dependant. Unwittingly, we’d joined thousands of other communities around the world celebrating their environment and repairing the damage caused by cultures gone somewhat astray. Our own cultural celebration uncovered deeply embedded lore – that we’re all deeply connected; dependant on each other and to each tree. If we humans became servants of the trees, rather than trying to be rulers, we just might discover a way through. For us, in that first year, it was about making our little piece of land magic, and thanks to the trees, it’s become about honouring our lore and repairing ourselves. 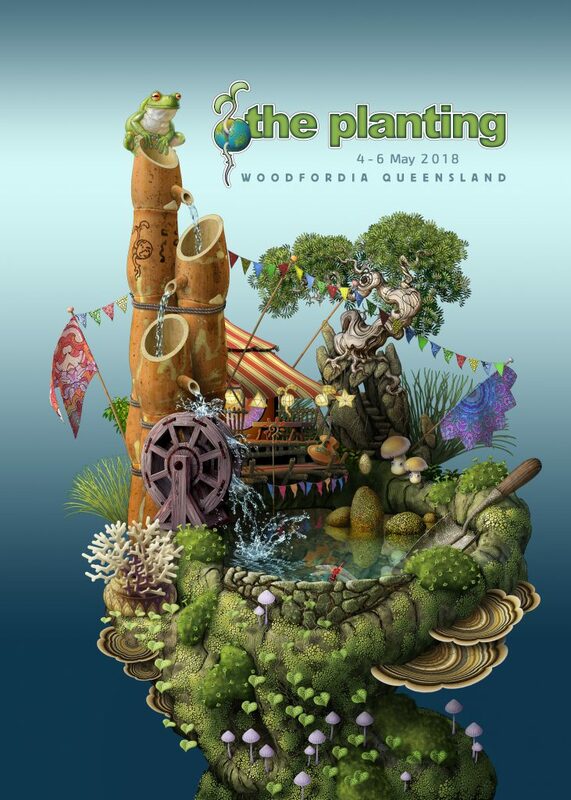 On behalf of our Woodfordian Citizens, welcome to The Planting – plant, seed, grow ideas.